South Africa, which plans a multi-billion dollar nuclear energy build, will sign a nuclear cooperation agreement with France, the government said Friday. The announcement comes shortly after a similar pact with Russia provoked a political storm when a statement appeared to suggest Moscow’s Rosatom had already been chosen to develop eight nuclear reactors worth up to $50 billion. The statement, which followed a secretive trip to Moscow by President Jacob Zuma at the end of August, prompted allegations that the government was dodging procurement rules. The department of energy said, however, that the pact signed with Russia was simply a preliminary agreement on nuclear cooperation and similar deals would be signed with other countries. On Friday, Zuma’s office said the energy ministry would “sign an agreement on cooperation in the development of peaceful uses of nuclear energy” with the French government. No further details about the deal were made available. 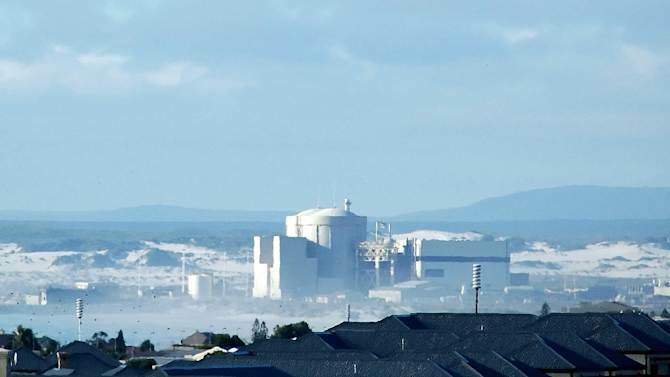 France’s Areva is in the running for the contract in Africa’s most developed nation, which already has one nuclear power plant located outside Cape Town. The expansion of the country’s nuclear energy has attracted wide criticism from environmental groups and some opposition parties who prefer renewable energy alternatives. South Africa relies heavily on coal-fired power stations for electricity and the country is battling severe energy constraints, limiting economic growth and productivity. Posted on 10th October 2014 by newsafrica. This entry was posted in Africa, France, Human Development, South Africa and tagged Africa, Cape Town, France, Jacob Zuma, Moscow, Rosatom, Russia, South Africa. Bookmark the permalink.